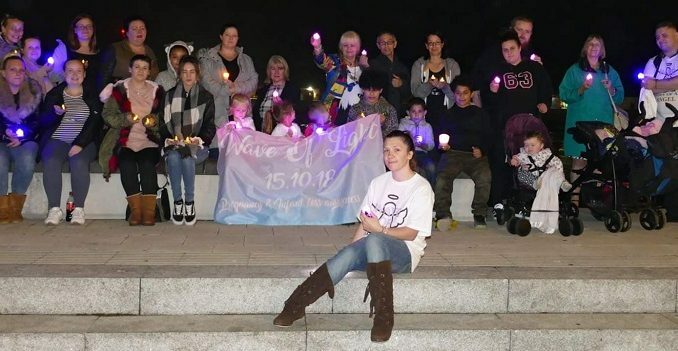 A wave of light could be seen on Margate Sands last night (October 15) as around 30 people came together to remember sons and daughters who had lost their lives during pregnancy or in infancy. 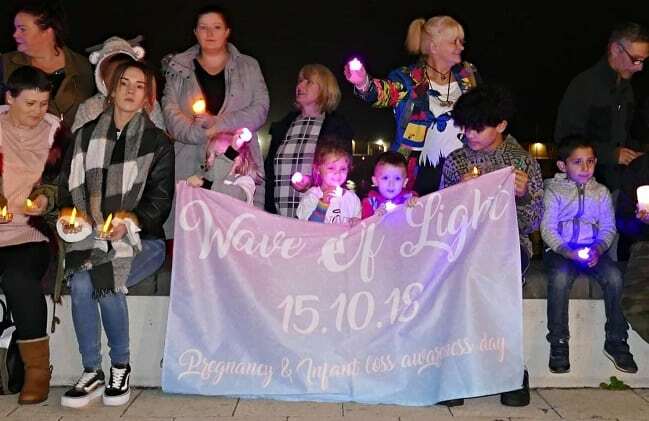 The candlelit gathering was held for Pregnancy and Infant Loss Awareness Day and was organised by Margate mum Crystal Venus. Crystal, 29, lost her baby daughter Sapphire to sudden infant death syndrome (Sids) at just 11 weeks old. The syndrome is the unexplained death, usually during sleep, of a seemingly healthy baby less than a year old. 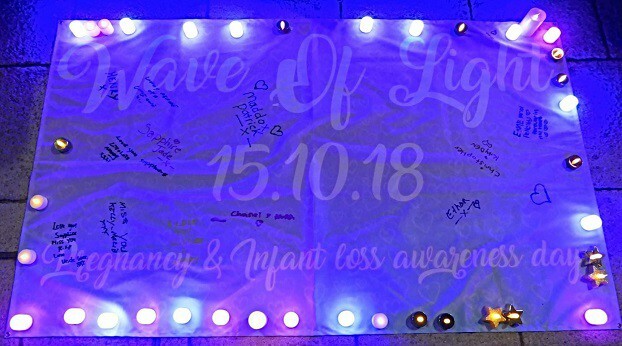 Crystal, who is also mum to Sapphire’s twin Brandon and three older children aged two, four and five, organised the wave of light so her family and others could remember all the little ones taken too soon. She said: “It was about remembering every beautiful angel taken too soon. It’s about standing together and trying to stamp out the taboo over pregnancy and infant death. 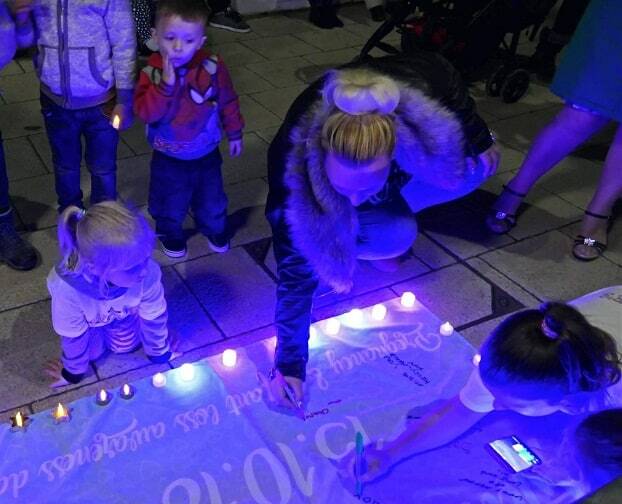 Crystal has also set up facebook page Sapphire’s Promise to raise awareness of Sids and offer support. 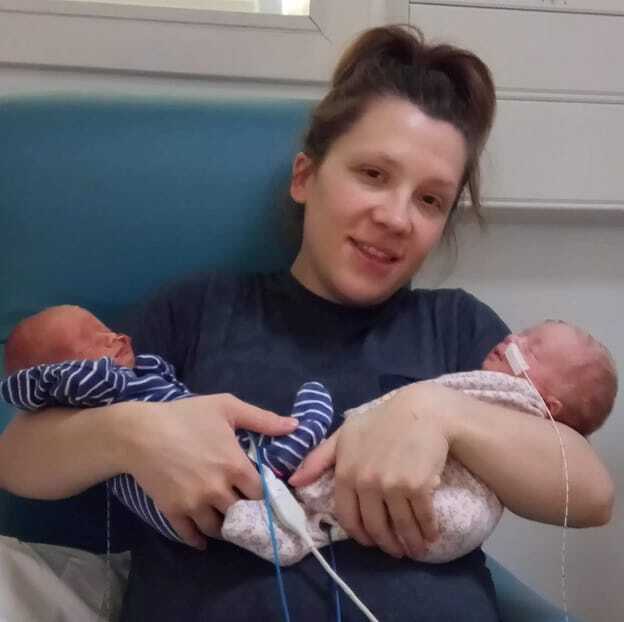 The page is also used to raise funds for cuddle cots – cooling mattresses that can be placed in a cot or a pram to allow parents time with their baby before their funeral – and for memory boxes.